A dog named Houdini had to be rescued Wednesday morning when he fell through the ice on a pond in Aurora. 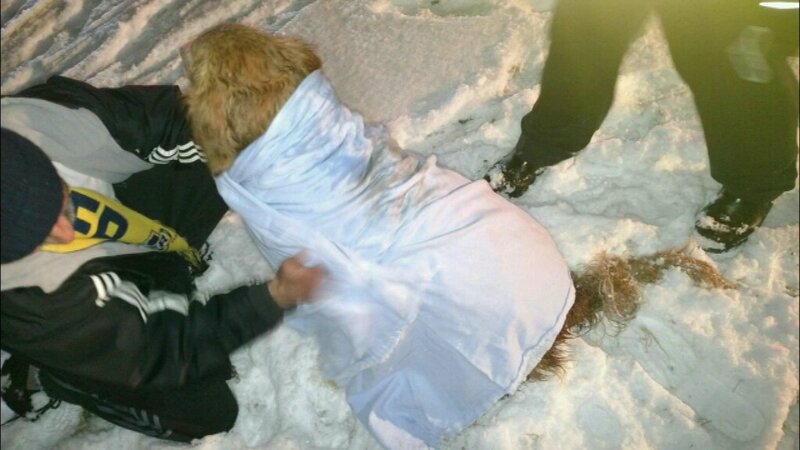 AURORA, Ill. -- A dog named Houdini had to be rescued Wednesday morning when he fell through the ice on a pond in Aurora. Andrew Kapur called 911 just before 9 p.m. when he realized that his 5-year-old golden retriever had fallen into the pond behind his house in the 100 block of Raven Drive, according to a statement from the Aurora Fire Department. Kapur believed the dog must have been chasing something, run out onto the partially frozen pond, and fallen into the area open water where the pond's aerator kept it from freezing, according to the fire department. The dog was unable to pull itself back onto the ice and was struggling in the water. According to the fire department, the dog may have been in the water for 30 to 45 minutes before his owner realized Houdini was in trouble. Firefighters with cold water immersion suits and an ice rescue sled were able to pull the dog to safety. It took a while for him to warm up, but his owner says he's doing okay.